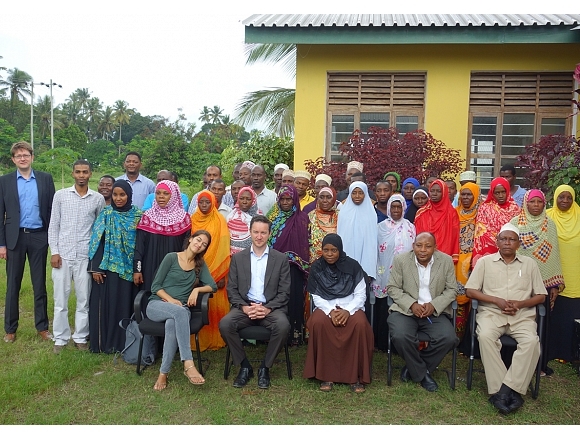 In the first week of June, a team led by The Hague Institute organised three local workshops across Zanzibar, as part of The Hague Institute’s flagship project ‘Governance of Climate Adaptation in Small Island Developing States (SIDS)’. This project aims to analyse and improve the response to climate change impacts and to reduce disaster risks in the vulnerable SIDS. Each workshop was attended by around 50 representatives of the local community, including farmers, fishers and local leaders and government representatives. Key objectives of these workshops were to develop a joint problem definition on climate change impacts and to identify possible physical and governance solutions, based on the priorities of the local stakeholders. The presentations of the Dutch and local experts directly caught the attention of the participants. For many of them it was the first time that they learned about the relations between climate change, environmental degradation and impacts on their livelihoods. But also how their own behaviour (sand mining for construction, mangrove cutting for firewood, etc.) is increasing the vulnerability to extreme weather events. After the introductory presentations, the Dutch team facilitated discussions in subgroups. In each sub-group, participants raised specific socio-economic development problems in relation with climate change. The facilitation, the equal participation and the group model building of the problems and solutions (see pictures) helped the local stakeholders to quickly gain a substantive overview of the problems. As such, the workshops substantially raised the environmental awareness of the participants. The workshops also received attention from national television and radio stations, which helped to spread the awareness even further. Also from a scientific point of view the workshops were a great success. The Dutch team learned substantially about the extent of the local problems and will use these insights to develop local climate action plans for Zanzibar in the coming year. Alongside, the participatory planning process is closely monitored and evaluated to help to improve climate adaptation processes around the world. Recent research has indicated that the climate on Zanzibar is changing, which becomes apparent through the extreme events Zanzibar is experiencing: floods, droughts, coastal erosion and saltwater inundation are already having a major impact on the local economy and livelihoods. The economy of Zanzibar is highly vulnerable to climate change, through the climate sensitive economic sectors, such as agriculture, fisheries and tourism. The reduced availability of natural resources is increasing the competition between various stakeholders and increases the potential for conflict. Despite the challenges, there is room to realise sustainable development of these climate sensitive areas. A first step has been made with the development of the Zanzibar Climate Change Strategy, which provides an outline of the responsibilities. Concrete technical and governance interventions are however highly needed. The aim of this joint project is to develop a consensus-based action plan for three particular hotspots in Zanzibar supported by a comparative assessment of islands in the Caribbean and Pacific, based on their lessons learned. The action plans should however be legitimate to the inhabitants, taking into account the local knowledge, problems and ambitions. These consensus-based action plans are developed in a series of multi-stakeholder dialogues. The team consists of governance and climate experts of The Hague Institute for Global Justice, development experts from Deltares and officials from the Department of Environment in Zanzibar. 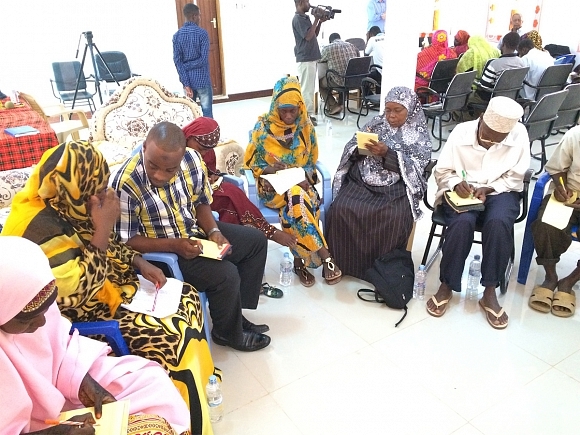 This autumn, we intend to hold a multi-stakeholder workshop where we will also present the findings from these local workshops to higher-level decision-makers in Zanzibar.